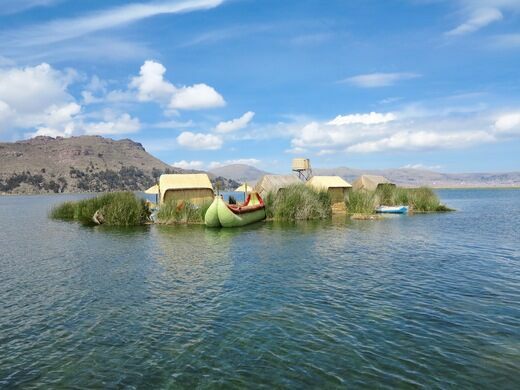 One of the famous reed islands on the world's highest navigable lake. 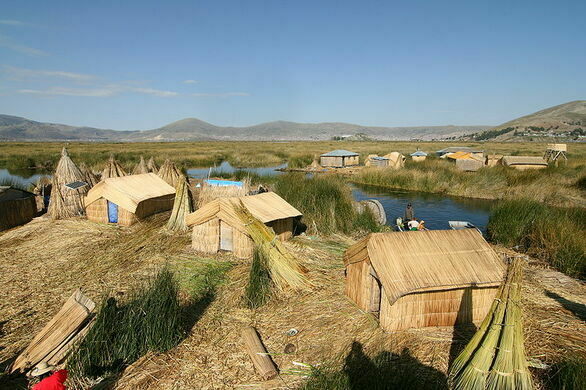 On Lake Titicaca, one ancient people, the Uros, live on islands made of living reeds that float around the lake. 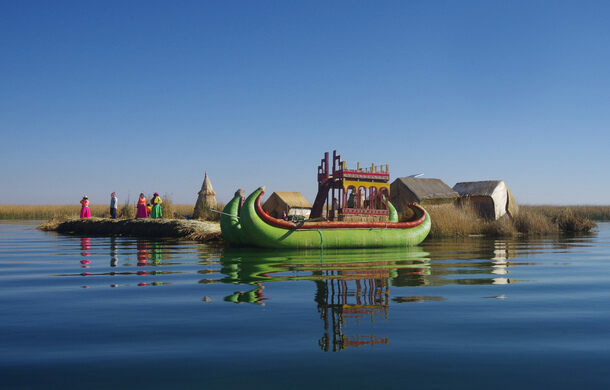 The Uros people have been living on the lake for hundreds of years—they were forced to take up residence on the floating islands when the Incas expanded onto their land. 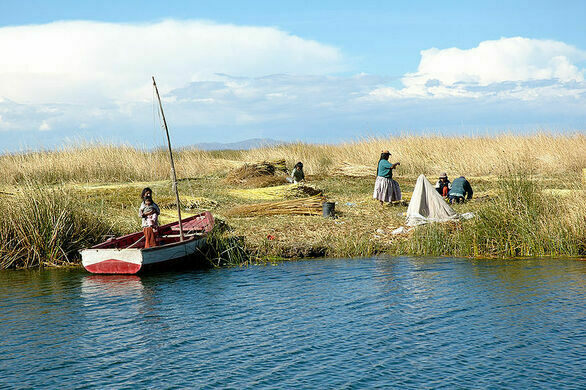 In the shadow of the Andes, on the world’s highest navigable lake, they make their living from fishing and from selling their reed handicrafts to tourists. 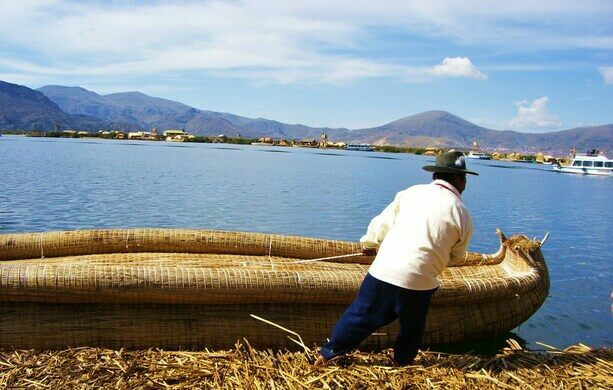 The Uros use the totora reed, which is plentiful along the edges of the lake, to make their homes, their furniture, their boats, and the islands they live on. 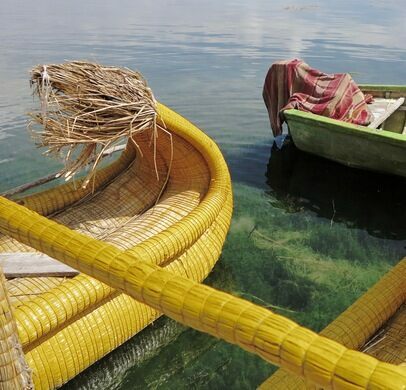 Their boats, which are shaped like canoes, but with animal heads at the prow, are used for fishing and to bring visitors out to the islands, which are usually moored to the bottom of the lake, but can be moved if necessary. As reeds disintegrate from the bottom of the islands, which are four to eight feet thick, residents must add more to the surface, which is soft and occasionally spongy. 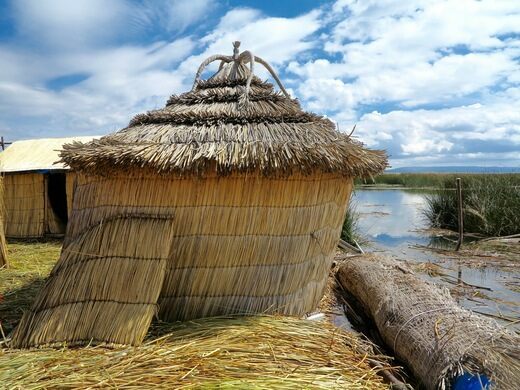 Each island has a collection of simple, reed houses, and the biggest island has a watchtower: originally, the mobility of the islands was used as a defense mechanism. Even tiny outhouse islands have been created, and the ground roots of the outhouse islands help absorb the waste. 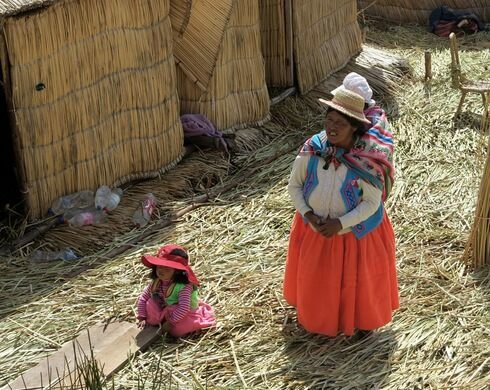 But despite the traditional lifestyle, the Uros people are not against modern amenities. Some families have motorboats or solar panels, and the main island is home to a radio station that plays music for several hours each day. 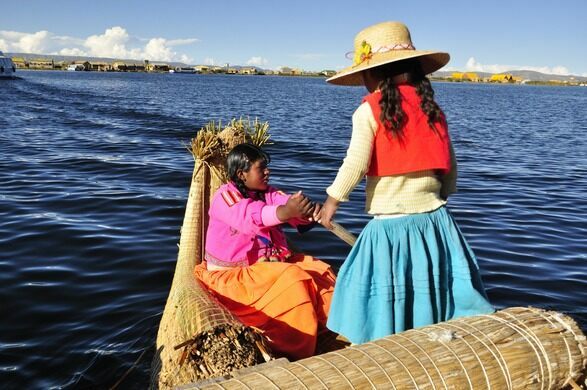 The islands can be reached from either side of the lake, although Puno, Peru, is probably the easiest point of access. Contact local travel agencies for details. Backpackers may want to consider the hop on/off bus service Bolivia Hop (the sister company to Peru Hop). 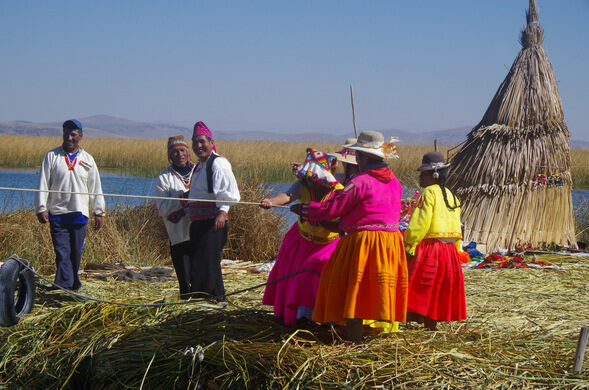 The bus arrives early in Puno, just in time for a morning boat ride to Uros Floating Islands. 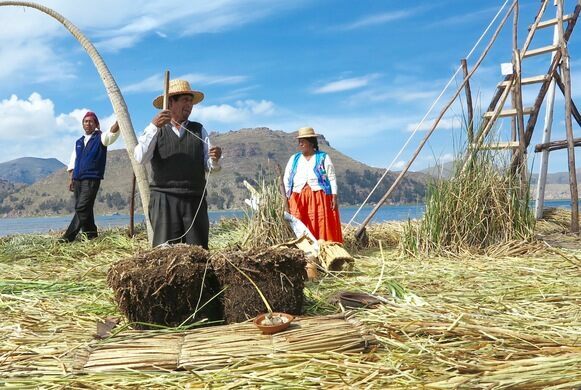 If you are looking for an authentic Quechua experience stay over night on Taquile Island (close to Uros Floating Islands). Dine with locals on the island which has no transport! Survival Spanish is required to get by.